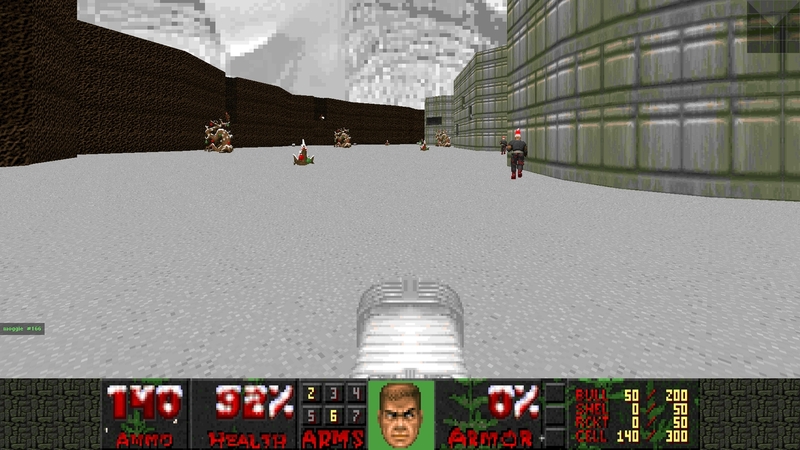 Doom Empyres Christmas is a wad-file for ZDaemon. Misc. Author Info : These levels are my complete Doom2 works. I made these before I had Internet access, so they have never before been released. I might be persuaded to make more Doom levels if these get rave reviews. Description : You find yourself in a spaceport that has been taken over by hellspawn. From there, your adventures take you to the basement, a Nazi fortress, a lava cave, a castle, and the dungeon of the castle. The musicfiles are retrived from other sources. And that Abnescio has composed and edited some of the musicfiles.